Alligator gar could disappear from Texas. This is why. Gargantuan, gnarly gar-fish… going, going, gone? Alligator gar have pretty much seen it all. The species dates back to the time the dinosaurs roamed the earth and, even today, can achieve near-dinosaur proportions. Growing up to 10 feet long and over 300 pounds, they have double rows of alligator-like teeth in a long, broad mouth. Their bony scales were once used as arrow points by Native Americans. They have a modified swim bladder that allows them to gulp air, tolerate low water quality and even survive out of the water for short periods. Despite their daunting appearance, alligator gar are no threat to people, but, unfortunately, people have turned out to be quite a threat to gar. 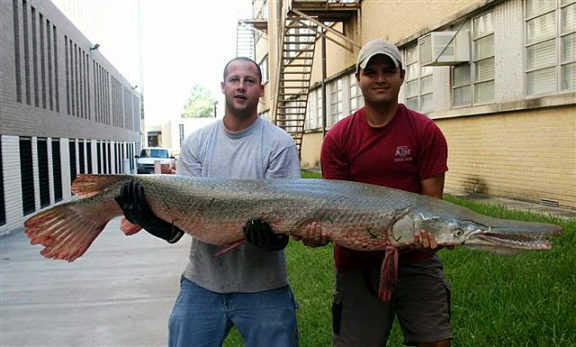 This alligator gar caught in the Brazos River in 2004 was six feet long and weighed 129 pounds. Image courtesy of Clinton and Charles Robertson on Flickr. There are three other species of gar in Texas, none of which grow to the gargantuan size of the alligator gar. 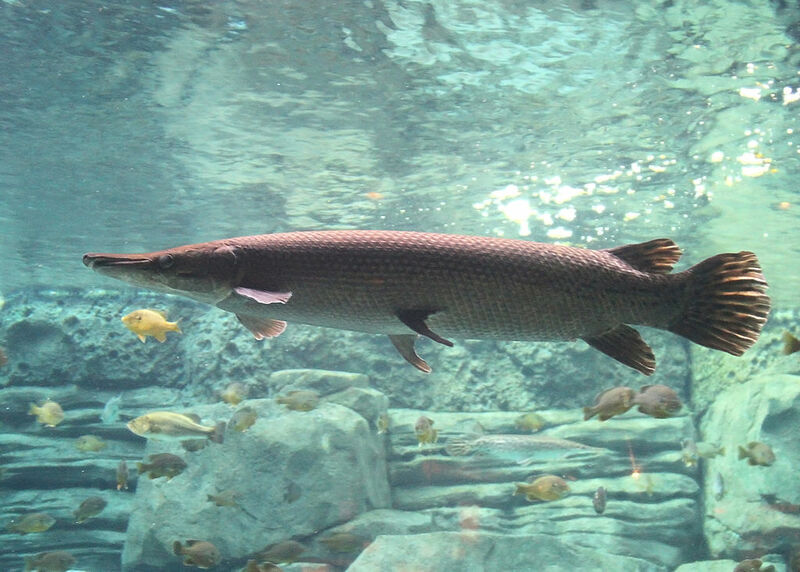 The alligator gar is the largest freshwater fish in Texas, second in size in the United States to the white sturgeon along the West Coast, and among the largest in the world. Individual gar can live more than 50 years. They are primarily river dwellers and, like Texas rivers, they are suffering from human-induced changes. 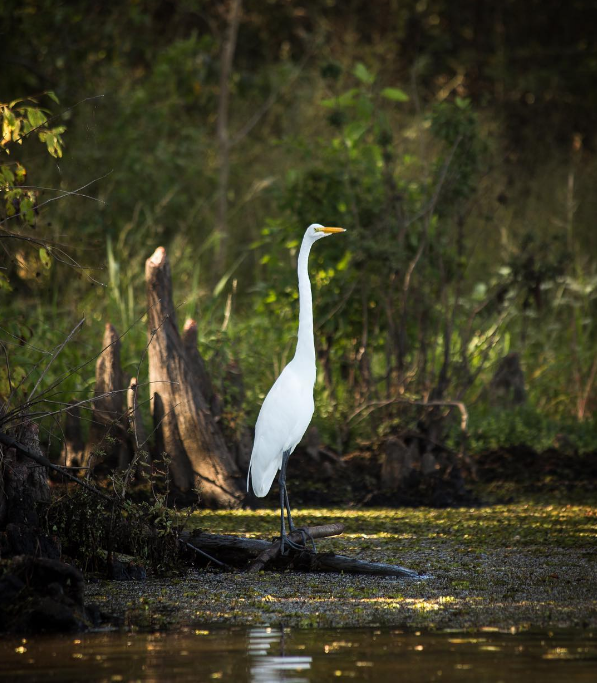 Once common in the U.S. throughout the larger rivers that drain to the Gulf of Mexico, they are now increasingly rare, although still doing OK for now in parts of Louisiana and Texas. The Trinity River downstream of Dallas still has fairly strong populations of gar and is recognized as, arguably, the premier alligator gar fishery today. Smaller numbers of alligator gar also still are found in the Red, Sabine, Neches, and Brazos Rivers; the Rio Grande; some reservoirs; and to varying degrees in rivers and streams near the Texas coast, even moving into Texas bays at times. But, without our help, they could disappear from Texas rivers too. Why are alligator gar disappearing? Alligator gar mostly spawn when large rivers overflow their banks during rainy periods. During those high river flows, or overbank flows, adults move out into the floodplain to lay eggs, which allows the new hatchlings a place to hide from predators during the first days of life before they move into the river. 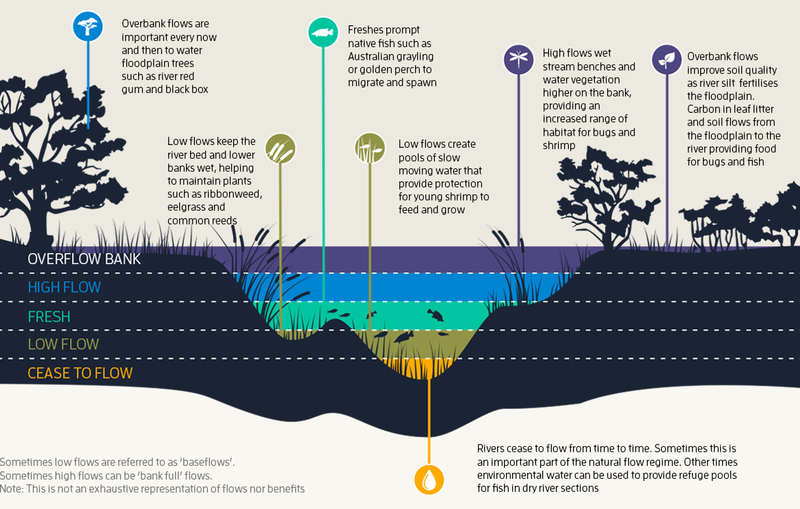 This infographic describes the importance of different natural water flow levels, including the overbank flows that allow alligator gar to venture into floodplains and lay eggs. Terms and species used here are from Australia, but concepts are the same. Graphic courtesy of Victorian Environmental Water Holder. Modification of rivers has resulted in lower flows and fewer of the overbank flows alligator gar require. That happens because dams and reservoirs built for water supply are catching more and more of the river flow. In addition, when homes and other structures are built close to a river, overbank flows can damage them. As a result, rivers are managed to reduce overbank flows through measures like building flood control storage and dikes to keep flows out of the floodplain. Overbank flows also play a key role in maintaining floodplain forests and other riparian vegetation. In adopting environmental flow standards for protecting river flow, the Texas Commission on Environmental Quality (TCEQ) declined to include protections for overbank flows anywhere in the state, or even to protect the larger in-channel pulse flows important for a wide variety of species and for maintaining the basic structure of river channels. In addition, gar have suffered because of overfishing. Until fairly recently, there were no limits on fishing for gar in Texas, which is done with trotline, bow fishing, or rod-and-reel. Currently, there is a bag limit of one fish per day, but, because alligator gar are slow to reproduce and fishing for gar is becoming more popular, that may not be adequate protection. And, because they have erroneously been viewed as a threat to more popular sportfish species, alligator gar were often intentionally killed, including by throwing dynamite in the water, in a misguided effort to improve fishing. Alligator gar do eat fish, although typically not game fish, along with small mammals, waterfowl, and, when young, insects and crustaceans, but not in large enough numbers to threaten fishing or ecosystem health. What can Texas do to protect struggling alligator gar? A key challenge facing Texas, and other states that are, or at least were, home to alligator gar, is to strike a reasonable balance in water management that manages flooding risk to human infrastructure and meets human water needs, while maintaining the healthy environment necessary to support native Texas riverine species. Surely, we can find a way to avoid wiping out a species like the alligator gar from rivers after it has survived 200 million years on earth. Protecting gar for future generations of Texans to enjoy will require smart management of Texas rivers. For example, the environmental flow standards adopted by TCEQ, which govern new permits authorizing the diversion and impoundment of state-owned water, could be revised to include flows adequate to actually protect all components of a healthy river environment. If we take care of our rivers and manage fishing pressure, alligator gar need not join their dinosaur contemporaries on the list of species formerly found in Texas. Like healthy rivers, alligator gar have been here much longer than people have and are part of the Texas natural heritage passed down to us. Let’s pass it on. 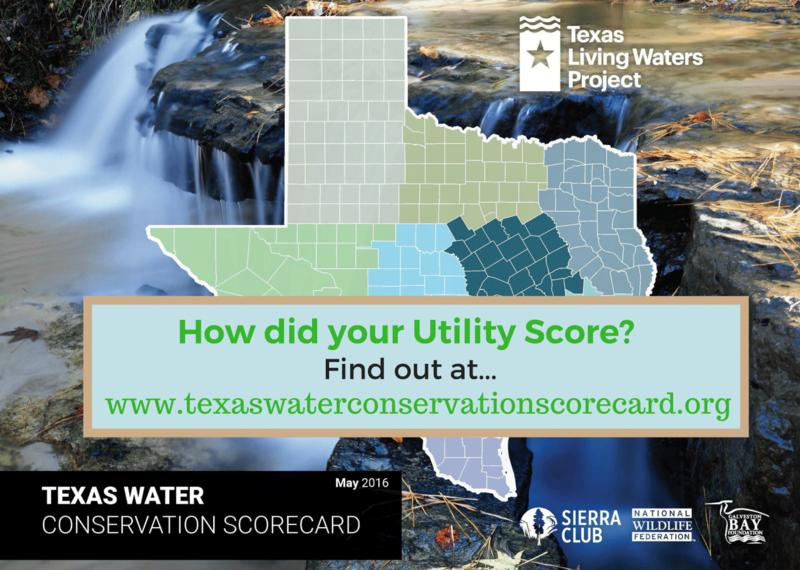 That’s where Texas Living Waters Project comes in – we’re here to ensure that there’s enough fresh water in our rivers for fish and wildlife. You can help protect alligator gar by donating to support our team, so that we can continue to speak up on behalf of the incredible rivers and wildlife that fill our state with life and wonder. When not working on legal and policy issues related to water quantity and quality, Myron likes to head outdoors in search of a bird, whale, crayfish, praying mantis, or just a cool plant. He also enjoys exploring Texas streams and springs, listening to singer-songwriters, traveling, and learning about new developments in science.